Tampax Compak Pearl Tampons are the No.1 tampon for comfort, protection & discretion. With a discreet, smooth plastic applicator with a rounded tip and an Anti-Slip Grip, Tampax Compak Pearl Tampons give you a comfortable smooth insertion. Its Pearl tampon gently expands to fit your unique body shape, and its LeakGuard braid helps to stop leaks before they happen. 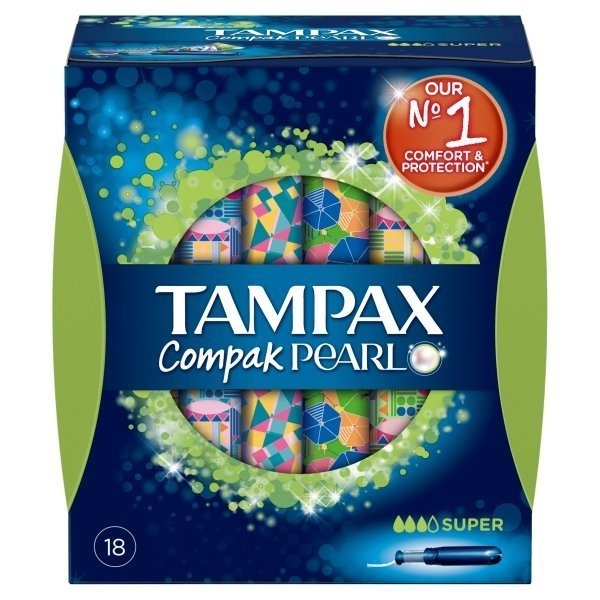 Tampax Compak Pearl Tampons come in colourful, bold colours and a quiet, purse-resistant wrapper, with easy-to-open tabs. Medium to heavy flow.